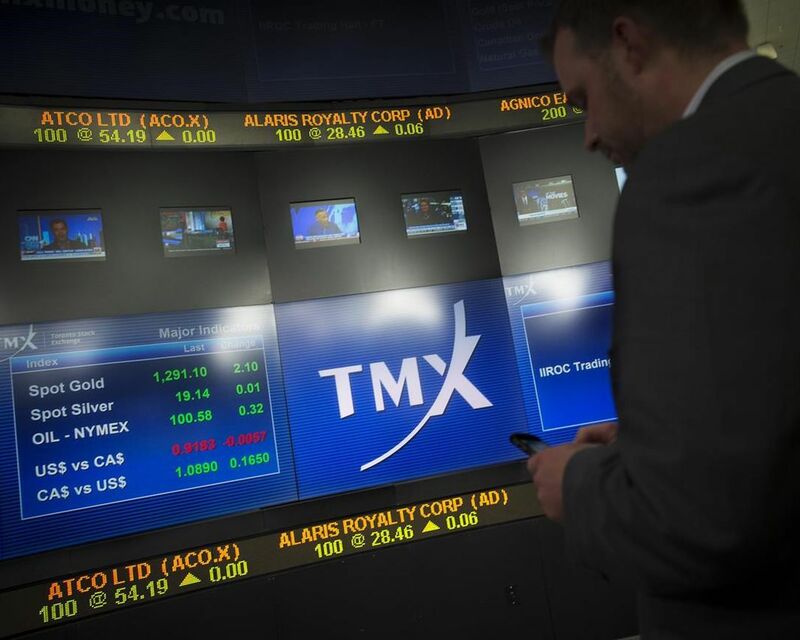 TORONTO – Canada’s main stock index rose to within striking distance of an all-time high, while U.S. markets fell on disappointing bank results. Materials rose despite lower metals prices. The June gold contract was down US$ 3.90 at US$ 1,291.30 an ounce and the May copper contract was down 1.1 cents at US$ 2.93 a pound. The May crude contract was down 49 cents at US$ 63.40 per barrel and the May natural gas contract was down seven cents at US$ 2.59 per mmBTU.